One of the most influential authors in the business realm in recent years is Dan Pink. His books, “Free Agent Nation,” “The Adventures of Johnny Bunko,” “A Whole New Mind,” “Drive, and now, “To Sell Is Human” are reshaping the way professionals think about business and the mindsets and fundamental drives behind it. On this episode, you’re going to hear a valuable conversation that could help you make some adjustments to your thinking and practices to increase your production and sales volume. The audio is a bit rough but the content is entirely worth the struggle so be sure you listen. Dan Pink has come to the conclusion that a fundamental part of being human is the desire to help people solve their problems. That kind of service is what is at the heart of sales. In this conversation, you’ll hear Dan unpack how he came to that conclusion and his insights regarding the repercussions that realization has on salespeople, sales organizations, and the business world as a whole. You’ll enjoy Dan’s easy-going manner and the expertise with which he addresses these foundational issues. As the culture changes so must the sales approach that professional salespeople use. Dan Pink has noticed that throughout the early 2000s much has changed on the sales landscape and that sales professionals who are wise will adapt as needed. One of the fundamental changes that have happened has to do with the mindset behind what sales truly is. It’s not pushing an unneeded item on someone who doesn’t want it. Sales is helping – pure and simple. Dan Pink puts action steps in place to support that belief on this episode of In The Arena. One of the best things you can glean from this conversation between Anthony and his guest Dan Pink is the importance of discussing things in mutually beneficial ways. Sales presentations and pitches can easily become about you, your company, your product, etc. – but the savvy and wise salesperson – and the most effective – are those who are able to place their product or service into the context of the customer’s needs. Then the pitch becomes about OUR story rather than just yours or theirs. You can hear Dan Pink unpack this idea on this episode of the podcast. Sales is a fundamentally human quality simply because every human being has it within themselves to help others. Sales is nothing more than discovering the needs of a particular person or group of people, including a business, and providing a solution or satisfactory answer to that need. 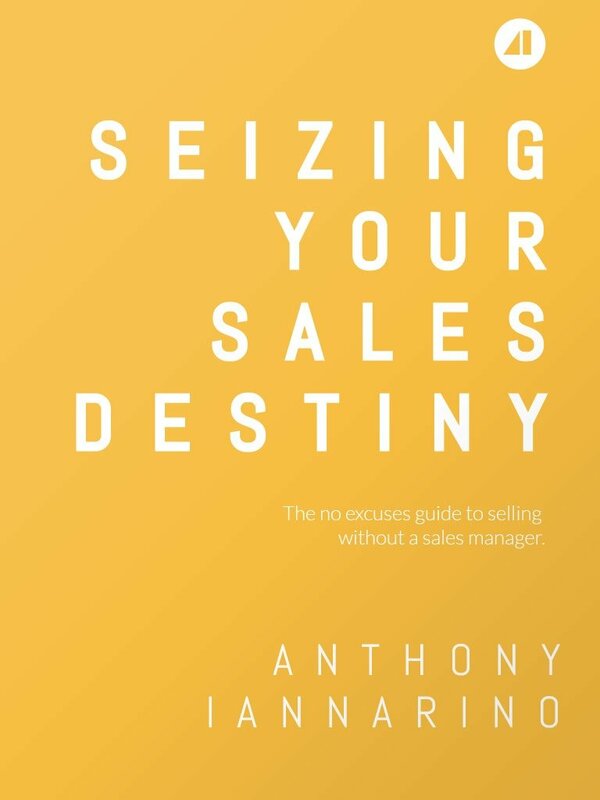 In this great conversation Anthony and his guests Dan Pink chat about how important it is for salespeople to understand that truth and implemented into their attitude and approach to selling. Anthony’s introduction to this conversation with Dan Pink. What hooked Dan on the idea that everyone is in sales. The changes that have happened in sales over the last 20 years and why they matter. The ABCs Dan has highlighted for salespeople. The philosophy for dealing with rejection. The power of OUR story over MY story or YOUR story. What Dan feels about the profession of sales. Dan’s views about sales compensation, bonus structures, etc.